What kind of nurse do you want to be? Medical-surgical, trauma or intensive care? Rehabilitation, pediatrics or long-term acute care? These and many exciting practice areas are available at Memorial Hermann, where you can find virtually all clinical specialties. A growing clinical specialty is cardiovascular care, and Memorial Hermann is one of the world's largest providers, annually performing more than 50,000 heart procedures. You’ll work alongside heart specialists with extensive training and experience in the complete range of cardiac treatments, from interventional cardiology to electrophysiology and complex robotic-assisted procedures. This isn’t your average, ordinary nursing career. Far from it. At Memorial Hermann, you’ll find a deep-rooted commitment to delivering high-quality care coupled with a relentless drive for improvement. You’ll have the freedom to do what’s right in order to achieve the best outcomes for your patients. As a nurse, you’ll find a collaborative environment, and you’ll have the tools you need to rise to any challenge and an entire network of support. 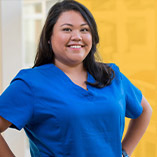 Here, you’ll find a range of nursing opportunities that stretch across specialties and locations along with support, training and the kind of growth opportunities you’d expect from a national leader in healthcare. Career Advancement. 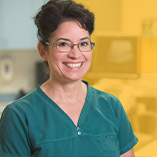 With your knowledge, skill and willingness to learn, you can go from entry-level nurse to clinical specialist to management – all within our system. Cross-training. Want to learn a new clinical practice specialty? Or jump back into nursing with a career refresher course? Or collaborate at Houston-area schools of nursing? We encourage and enable a variety of training tools. Tuition Reimbursement. The day you start, you’re eligible for tuition reimbursement to help advance your career in nursing. We also provide reimbursement for attaining specialty certification. In-Service Programs for Continuing Education Credit. You will have opportunities for continuing and specialty education programs within your department and facility. Nursing Grand Rounds. You can participate in programs at our larger hospitals focusing on specific disease processes, patient care plans or other medical issues. These are a forum for critical thinking and a chance to expand your knowledge. Orientation Programs. You can learn through our structured orientation programs that teach you about the area and specialty in which you chose to practice. Self-Development Opportunities. You’ll have 24/7 access to CEUs though our state-of-the-art, nationally recognized, best-practice online learning system. Tradition. You’ll be a part of our century of caring in the Greater Houston area. Our nurses are dedicated caregivers covering many roles – leading as teachers, innovators, collaborators, motivators and much, much more. You play an integral role in the delivery of quality healthcare in our hospitals and in our communities. 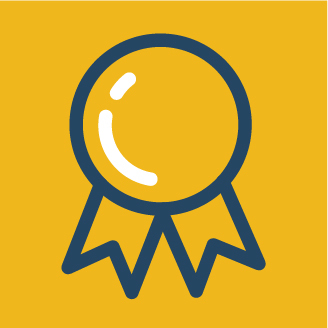 You’re with patients in their most vulnerable moments and share the joy in their significant achievements. Whether it’s explaining a medication regimen or preparing a patient for surgery, every nurse drives optimal patient outcomes while upholding the highest level of quality and ethical standards, ensuring the delivery of superior care. Memorial Hermann recognizes the countless and significant contributions from nurses during Nurses Week and all year long. Thank you for all you do!